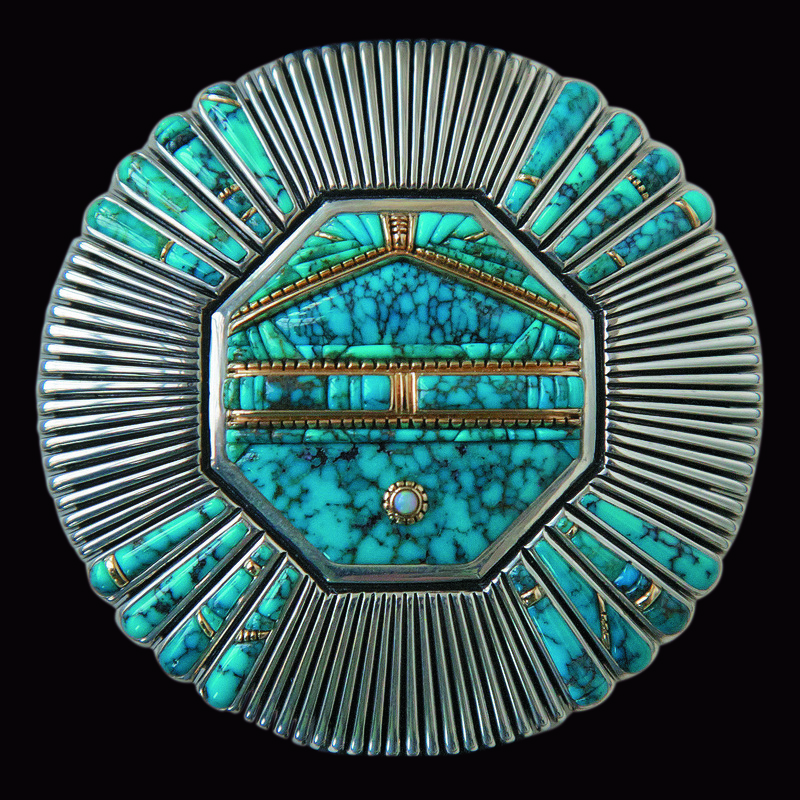 The National Museum of the American Indian’s George Gustav Heye Center in New York celebrates its 20th anniversary with the opening of “Glittering World: Navajo Jewelry of the Yazzie Family” Thursday, Nov. 13. 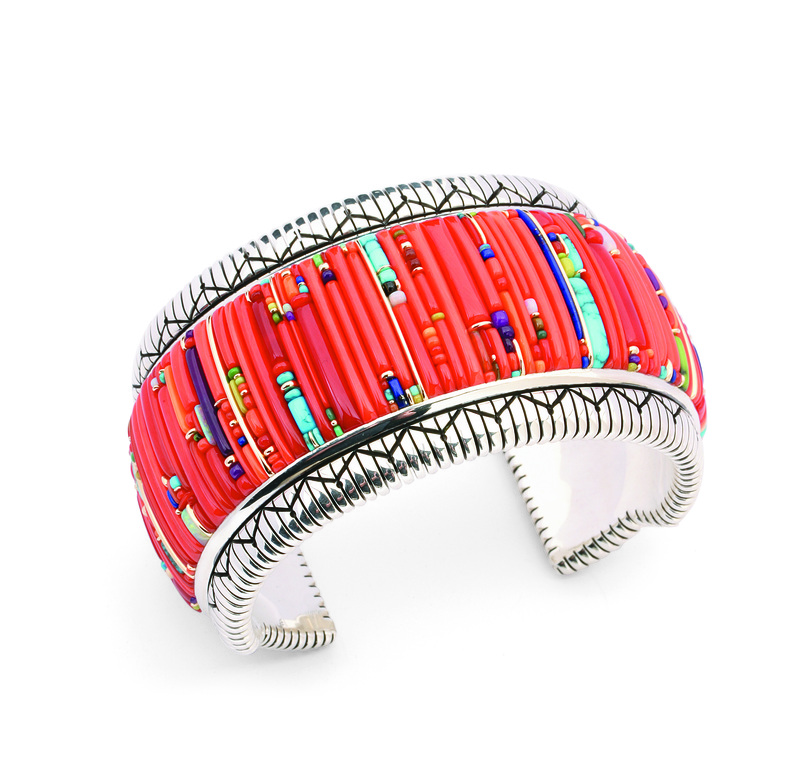 “Glittering World” is the museum’s first exhibition to explore the intersection of art and commerce through Navajo jewelry making and features more than 300 examples of contemporary jewelry made by members of the Yazzie family of Gallup, N.M.
Lee A. Yazzie, 2000. 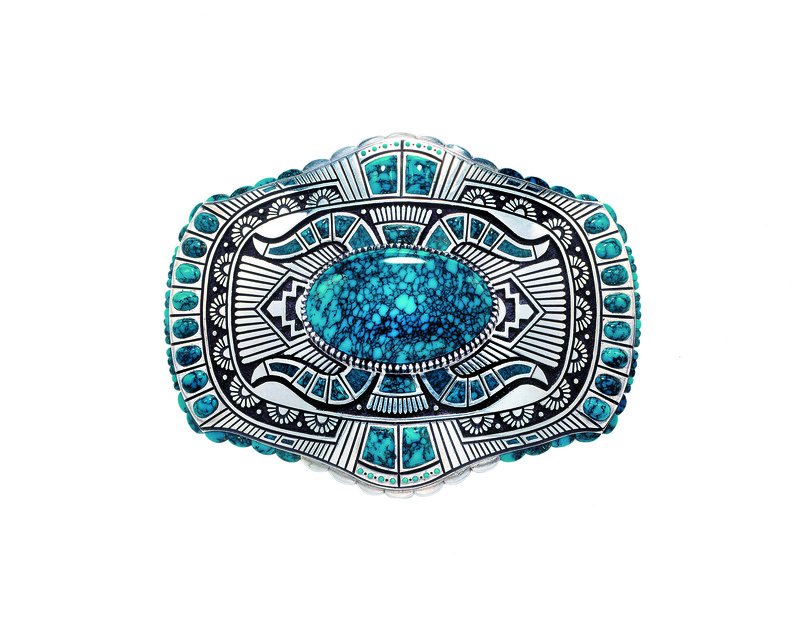 Lone Mountain turquoise, sterling silver. Length, 2 3/8 in. Collection of Gene and Ann Waddell. Raymond C. Yazzie, 2002-3. Height, 1 1/2 in. Collection of Daniel Hidding. Windsong Studio, L.L.C. Lee A. Yazzie, 1980. 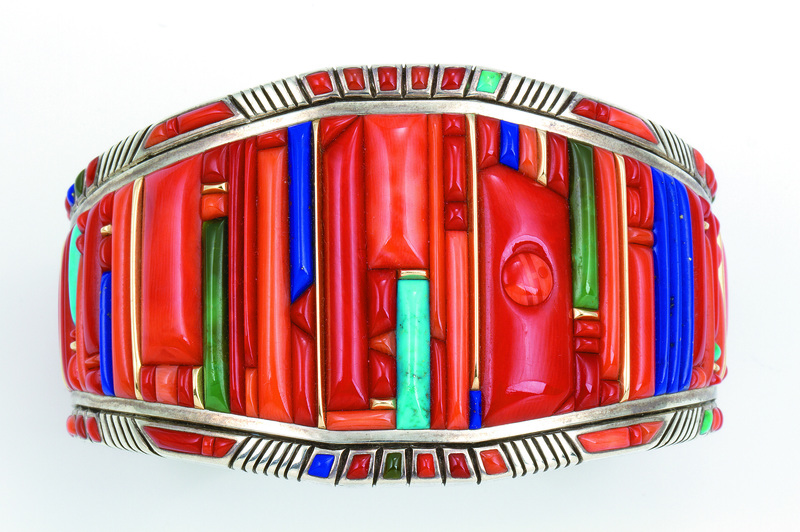 Bisbee and Royal Web turquoise, lapis lazuli, coral, opal. Length, 3 1/4 in. Collection of Joe and Cindy Tanner. Raymond C. Yazzie, 2005. 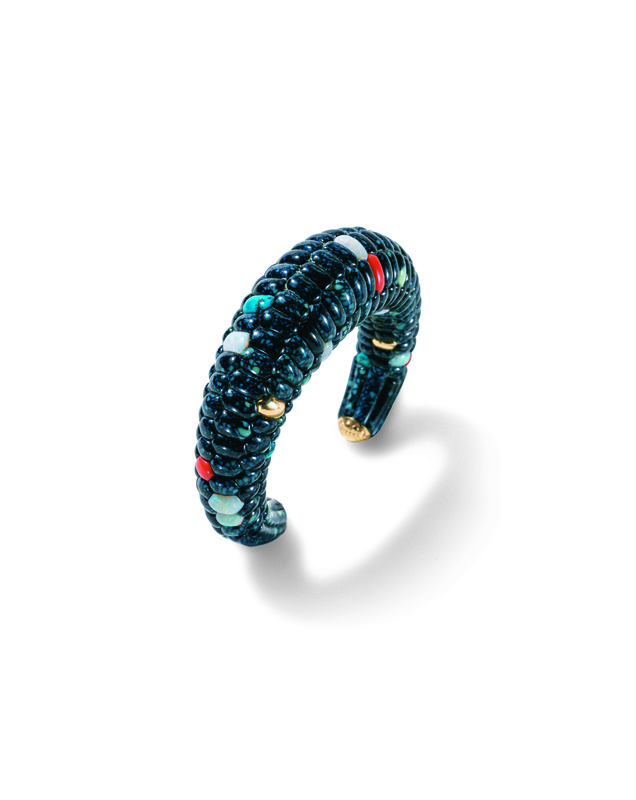 Silver inlaid with coral, turquoise, lapis lazuli, 14-karat gold accents. 2 3/8 x 1 in. Collection of Mark and Martha Alexander. Lee A. Yazzie, 1984. 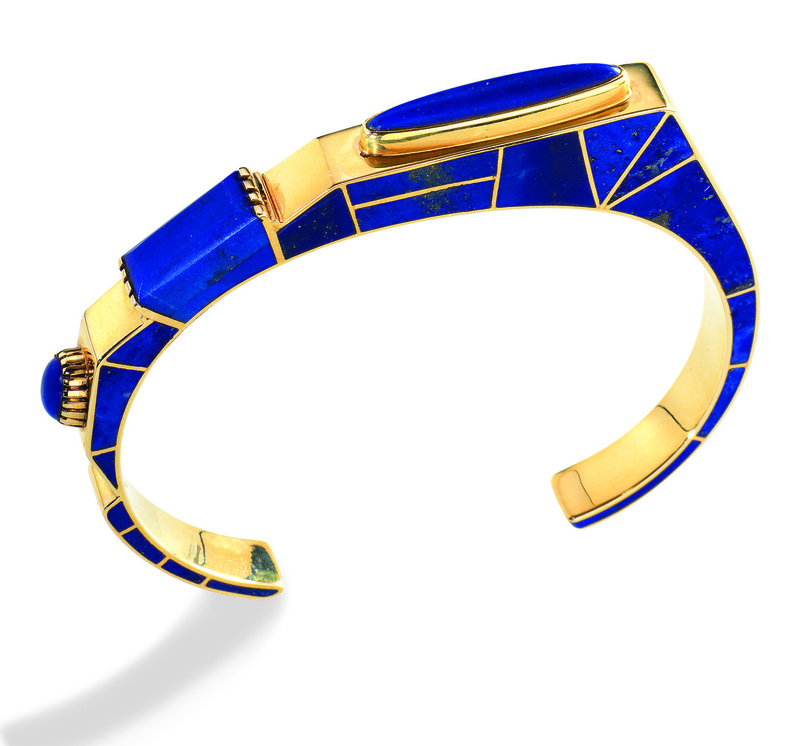 Lapis lazuli, 18-karat gold. National Museum of the American Indian, 25/6257. Raymond C. Yazzie, 2009. 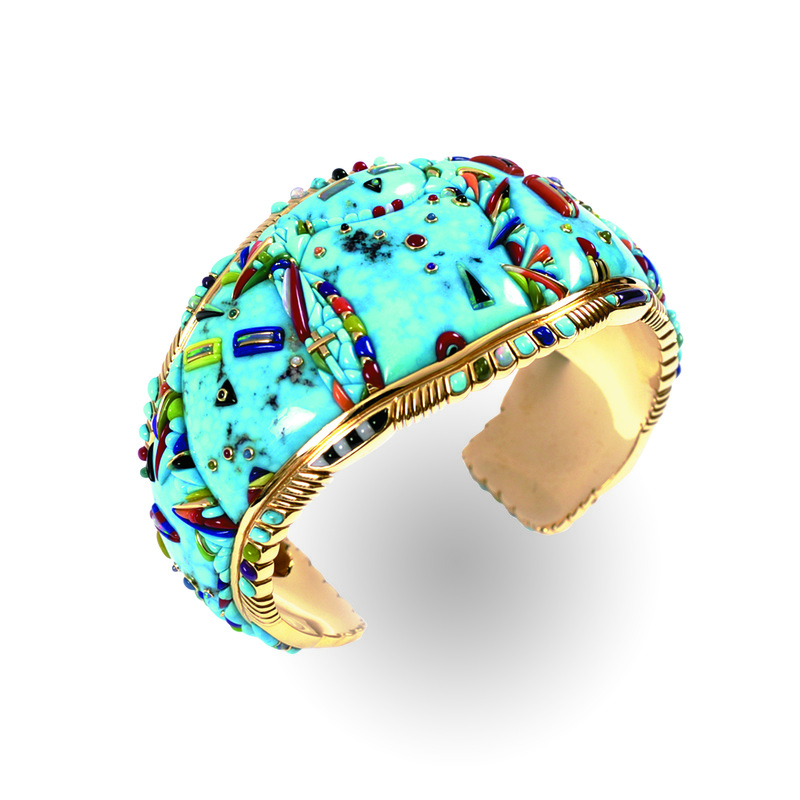 Fossilized Lone Mountain turquoise, lapis lazuli, coral, sugilite, opal, 14-karat gold. Overall length, 31 in. Collection of Susan Heyneman. Raymond C. Yazzie, 2012. 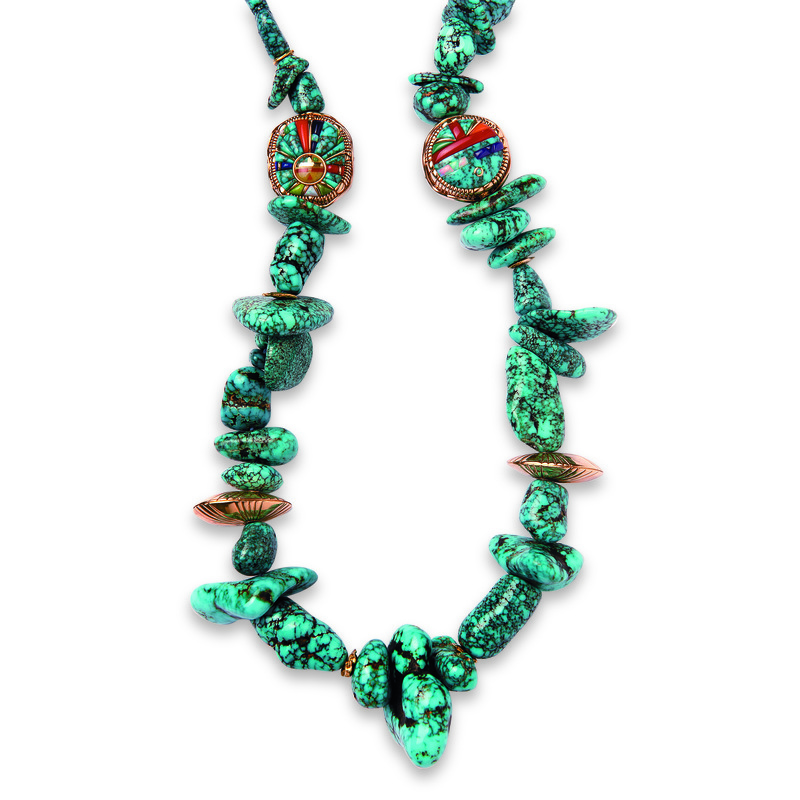 Coral, Lone Mountain and Orvil Jack turquoise, opal, sugilite, 14-karat gold. Collection of Janice Moody. Raymond C. Yazzie, 2013. 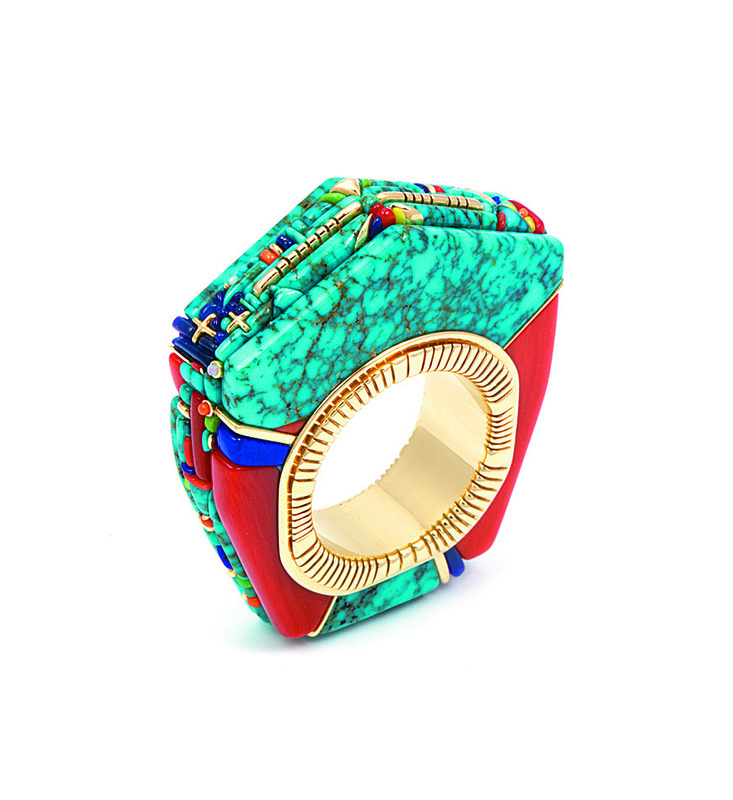 Lone Mountain turquoise, 14-karat gold, silver. Diameter, 2 in. Collection of Lloyd and Betty Van Horn. 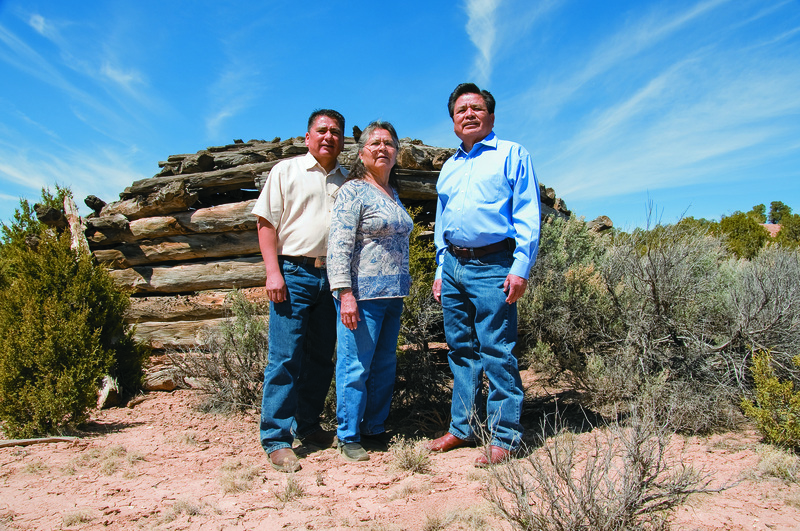 Left to right: Raymond C. Yazzie and Lee A. Yazzie in front of their grandparents' Hogan, originally built in the 1890s and where their mother was born, near Gallup, New Mexico. 2008.